Summer of Words: By the Butterfly Tree – Part Five | Phil – Refuelled! My story continues… You can read it from the beginning here. 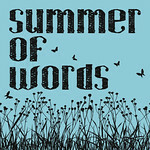 The ‘Summer of Words’ writing initiative was started by Helen at All at Sea. When the sirens sounded on that mid-March night, the general mood was not so much of alarm as of weary resignation to ‘another raid’. It soon became clear, however, that to classify the night’s activity in this way was on a par with suggesting that Chopin, say, wrote some natty little tuneful numbers. For this was no mere raid; it was a blitz. As Jenny made for the shelter, Archie cycled to the fire station, where he joined his team to face the toughest night’s fire-fighting they had known so far. Tenements with roofs like tinder-boxes were being hit with incendiaries, and then high-explosive bombs followed. Rescue work went on as bombs fell perilously close. After a relief team took over at three a.m. Archie arrived home in a daze. Jenny was safe, but their house had several broken windows, and a crack had appeared in the back wall. Archie joined his wife in their shelter until the ‘all clear’ finally sounded, snatching at sleep a few minutes at a time. Later, he cleaned himself up as best as he could (without hot water, owing to the gas-mains having been damaged) satisfied himself that there was no risk of the house collapsing round his wife, and headed for the shipyard. When he returned home later, he ate almost mechanically, then fell asleep – until the sirens sounded again, announcing the start of another night of terror. Once again, he headed for the fire station, where calls soon flooded in. Archie and his team were soon sent to assist with fighting a spreading fire in a small row of terraced houses in a narrow side street. You can read part six here.